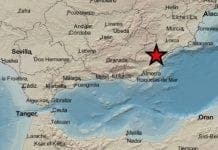 EXPERTS have calmed fears that another huge earthquake is set to hit the Costa del Sol tomorrow. 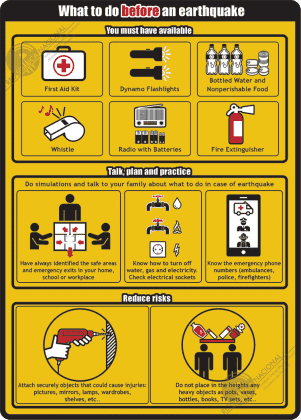 It comes after rumours rocked the coast that another big quake similar to the one on Monday morning would cause considerably more destruction. 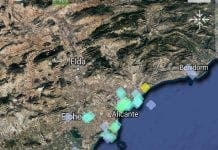 Tremors have continued to rumble along the coast following the 6.1 magnitude earthquake that centered 132km from Malaga in the Alboran Sea at 5.22am. 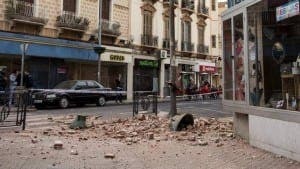 So far, more than 160 aftershocks have been recorded in Malaga since Monday’s quake, leading to expats along the coast to fear another big quake like the one in the city of Lorca, in Murcia in 2011. 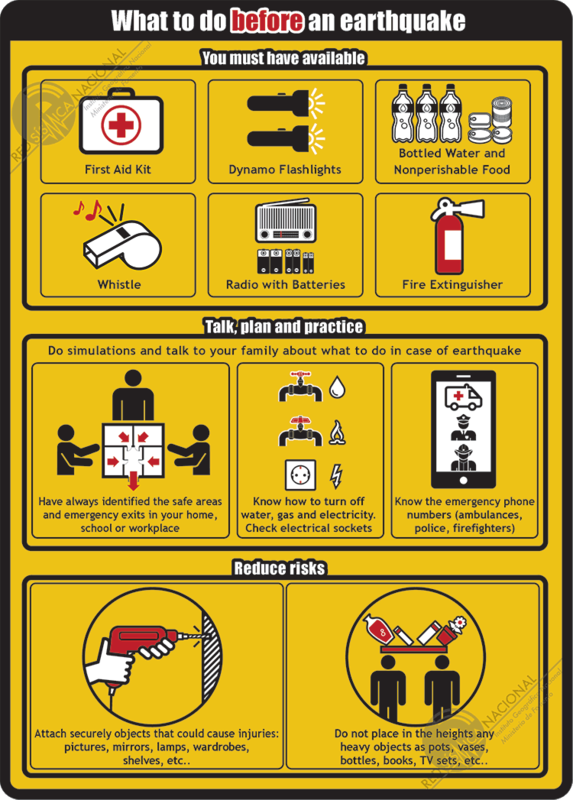 Malaga and Granada are in the most dangerous earthquake zone of the Iberian peninsula, with the Axarquia particularly vulnerable. However, following calls and emails to the Olive Press news desk, experts insist that another big quake was ‘unlikely’. Manuel Navarro, from the University of Almeria’s geophysics department, said that the Alboran Sea has the highest seismic activity in the Iberian Peninsula. He said that after such a large quake there are ‘usually more tremors’. The previous largest earthquake to hit Malaga struck on March 29, 1954, measuring seven on the Richter scale with its epicentre in Durcal, Granada. 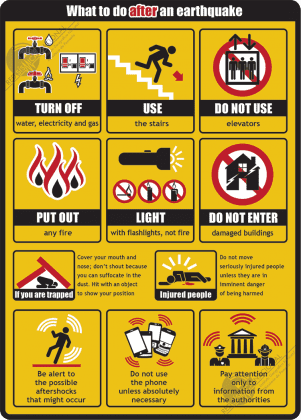 Experts also warned people to remain where they are if an earthquake strikes. 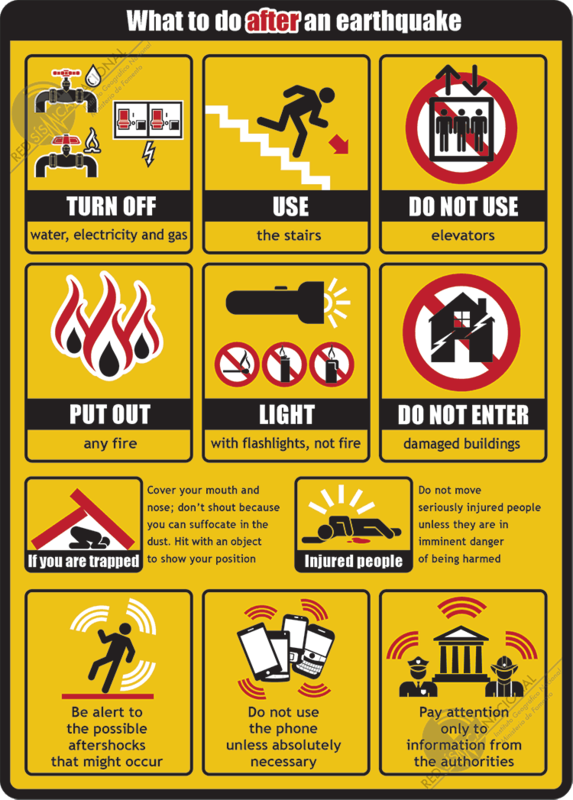 “If you are in a building, stay inside,” said Mercedes Feriche from the Andalucian Institute of Geophysics. Will this be another opportunity for junta/construction interests to siphon EU funds? Are you thinking funds which should be destined for rebuilding possibly many Spanish homes on poor foundations Chas? I hope it doesn’t happen in Spain or anywhere for that matter, the Med countries have been relatively lucky for sometime now. like the one that destroyed the city of Lorca, in Murcia in 2011! Damaged would have been a better description. Seismic-zone, quality construction will be second to junta/builder collusion and skimming. This will be a big ‘paella’ for the notables, not so much for the people. Did you see what that stupid woman was rec. – to stay inside. I really do think that Spain would be a far better country in every way if it was run by rational foreigners. It’s ‘unlikely’ that any more quakes will happen – really. Fact – mountains grow via tectonic plate movement. Fact the Sierras are young mountains. Fact they will become higher by way of the two tectonic plates that created them in the first place. No property in Spain is in any way built to withstand earthquakes, least of all the apartment blocks, when they collapse it will be quick, very quick. Xell.com have a system for building that will withstand earthquakes, check it out on the net. Not that the schools of architects will ever approve such a design – so it goes in Spain. Can you clarify what method is correct. 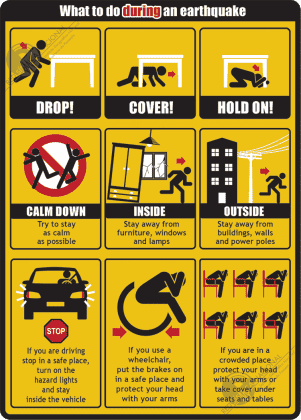 Stay in the building during an earthquake or run outside during an earthquake. How would you know? No one can predict one, or it’s magnitude. When it hits, just tuck your head between your legs and kiss your a**e goodbye. Many are forced to stay Anne because of negative equity or because their asset has decreased in value! There are many good things about Spain, I think the frustration is with the way the country and it’s property market etc is run much of the time. Anne – what a really stupid comment to make. Making a geological comment about a country is a statement of fact, not opinion, what part of this don’t you understand. Having access to Japan’s public service channel – NHK, I marvel at the skills, ability to focus and the absolute respect for their country and culture that the Japanese have and which so many Brits have lost or never had for the UK. So if I mention the fact that Japan is a dangerous country to live in geologically, it does’nt mean that I am running that country down – what part of this is beyond your intellectual capabilities to comprehend. Take no notice, Anne – if you google “Stuart Crawford Olive Press” you can see what Stuart does with his days. He needs to learn some manners and get out a bit.